There’s an epidemic going around the internets: people are not trusting their apples. It’s pretty upsetting. Everyone looks forward to fall and the apple season, go out of their way to get the delicious fruit at apple orchards or farmers markets and yet, when it’s time to cook, they get timid. This is more of a PSA than a recipe. I’m going to say it one time: STOP ADDING CRAP TO YOUR APPLESAUCE! Step 1: cube or roughly chop your apples. Chop enough to fill your slow cooker. The size you chop the apples doesn’t matter; it’s going to cook down anyway. 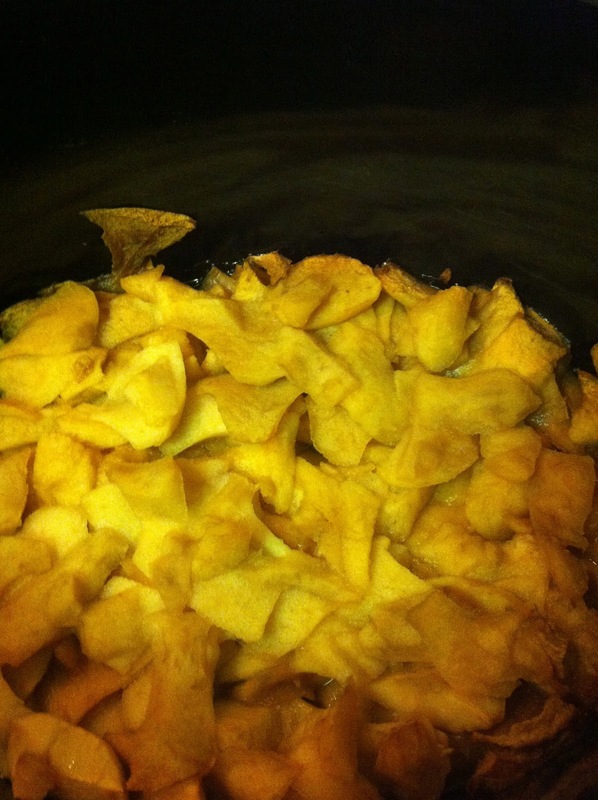 Step 2: Place the chopped up apples in your slow cooker. 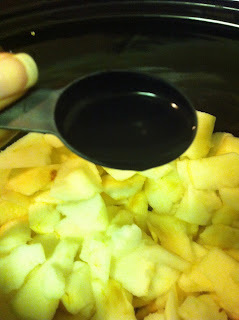 Step 3: Add in 2 tablespoons water and stir the apples so they are coated. Step 4: Turn your slow cooker to low and cook for 4 hours. That’s it! No, don’t you dare add sugar. Nope, no lemon juice needed either. Why does this method work? 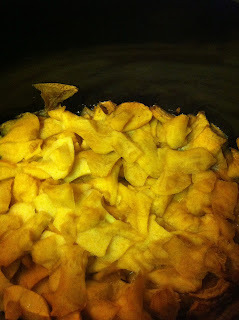 By only adding a small amount of water, you are essentially roasting the apples. The water is really only added so the apples won’t burn, but apples have so much moisture in them that you don’t need to add all that extra liquid. By using this method, the flavor of the apples intensifies. The resulting applesauce will taste like apple pie filling without all the extra “stuff” (cinnamon, sugar, nutmeg, etc.). 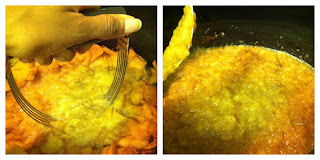 After the 4 hours in the slow cooker, you can smash the apples with a potato masher or pastry cutter (my favorite!). Even a fork will do. Don’t put it in the blender. That’s just silly. 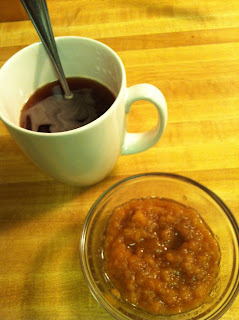 Now get out there and make slow cooker applesauce…the lazy mom way! « The Scariest Costume You’ll Ever See!